HOW TO MAKE SATURDAY A BIG DAY FOR YOU: Weekends, particularly Saturdays, are being loaded with all the best racing. How can you cope? How do you bet? Daqman, as usual, has some ideas of his own. 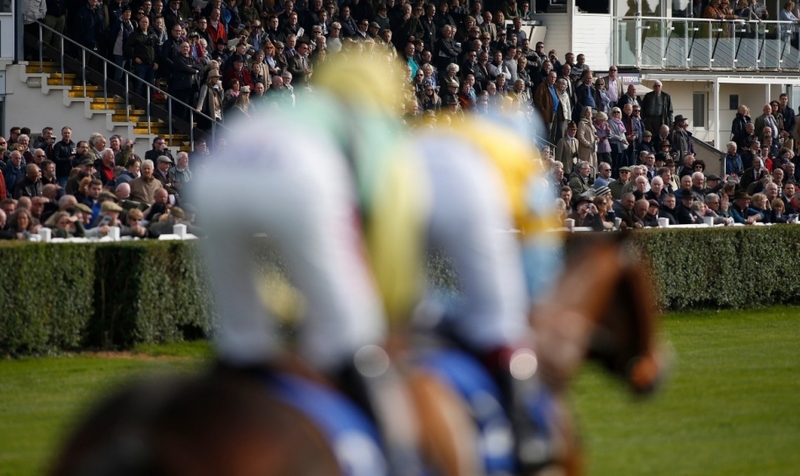 OUTSIDERS AT 14.0 AND 21.0 ON BETDAQ: Today Daqman’s nap is a quality local horse at Wincanton but he also finds BETDAQ offers for 14.0 and 21.0 outsiders there. Another premier-league weekend, only more so. Is racing scoring with the public with its Saturday-Sunday bonanzas, or is leaving the weekdays bland an own goal, damaging the game? The riches on offer in England and Ireland this weekend feature NINE big races on Saturday and FOUR on Sunday. Daqman will be working through the day Friday and into Saturday to try to bring you (entirely free of charge) value bets where they arise. He’s already lucky with the 13, as BETDAQ is the bettor bet for value hunters, as he reveals with his winners time and again. Sandown (*****) is a five-star meeting for Daqman. His expected at each meeting is given for each big race in star ratings which represent his potential return, based on betting and tipping records over 10 Jumps seasons. At four-star and five-star meetings you can anticipate win-50 bull’s-eye bets with a possible 20-point supernap. Most races will be staked to win 30. Lower-level expectations will command only stakes to win 20 points per bet, even just 10. I recommend you do the same. Check out your past results and bet accordingly, going for the big time at meetings you do well at, avoiding the harsh reality of lower levels or difficult meetings for picks.. But always modifying your profit-yield, and therefore your stake, according to the value available on BETDAQ. 12.05 Clonmel and 3.20 Leicester Smoking Gun (12.05 Clonmel) would be Joseph O’Brien’s fifth maiden-hurdle winner in 13 days. O’Brien also sends one to Leicester. The solo challenger is Camile (3.20 Leicester), whose Flat form suggests that a bit of hurdles practice at home would win a low-level race like this. 1.00 Wincanton Paul Nicholls dominated the big November 10 meeting at Wincanton with five winners, and seems to have another hatful on hold for today. I’m too worried about the ground for firm-surface winner Rhythm Is A Dancer (12.25) to have a bet at short price. I’m much more interested in Danse Idol, a Point winner over 3m, now stepped up in distance from quality bumpers. Offers of 2.84 take on BETDAQ. 1.30 Wincanton (Silver Buck Chase) Nicholls, who won this with Buck’s Bond (2013), now saddles Captain Buck’s, a close third over the Wincanton CD in the autumn but also on the sound surface left us by the extended summer. Several others need good ground or are unproven over today’s trip. but not so Wizards Bridge, who is back to his last winning mark: 14.0 on BETDAQ this morning. 2.05 Wincanton Favourites win this every time! But what will be market leader today for this class-3 hurdle over the minimum trip? Yezs, it’s another Nicholls, runner Darling Maltaix but this bumper winner is a maiden over hurdles who has betrayed some unsettling characteristics. I’ll try another outsider here in Lord Napier, whose form on soft, deleting seasonal debuts is 111. He’s a prominent runner who stays well and should be suited to this track, yet has 21.0 offers.